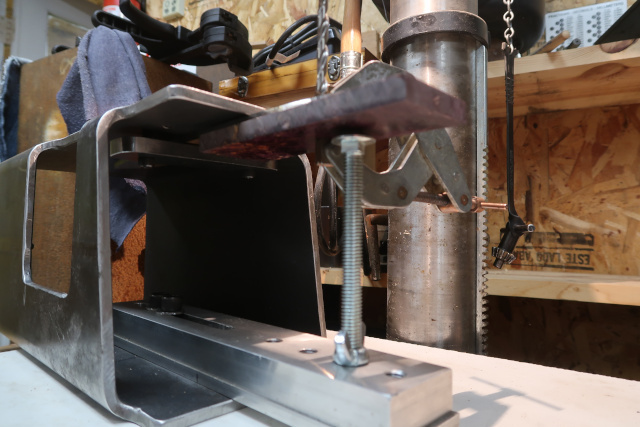 This is a tool I call my drill -press vise. 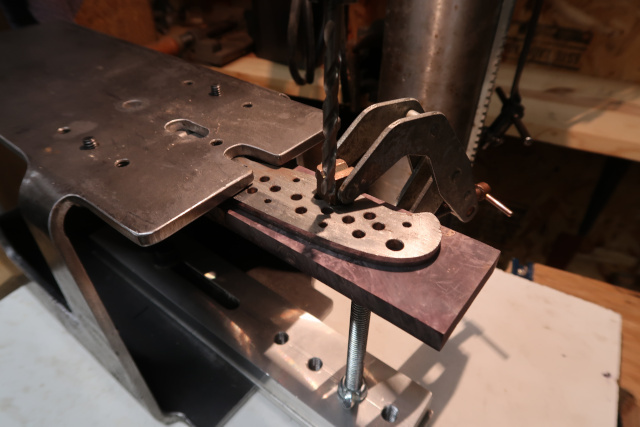 It is a clamping jig I use at the drill press to serve many functions. 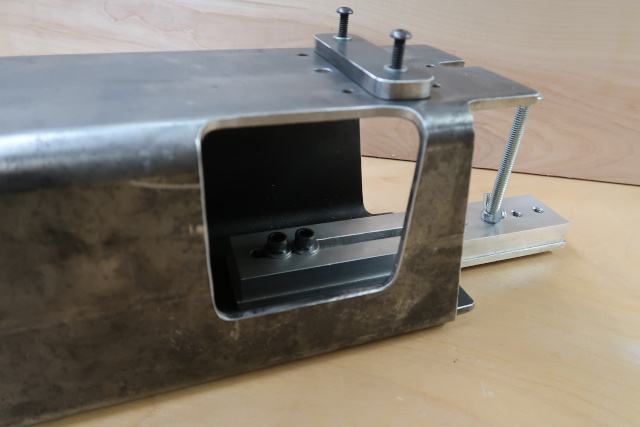 The primary value of this tool is a clamping device when I need to drill blades. 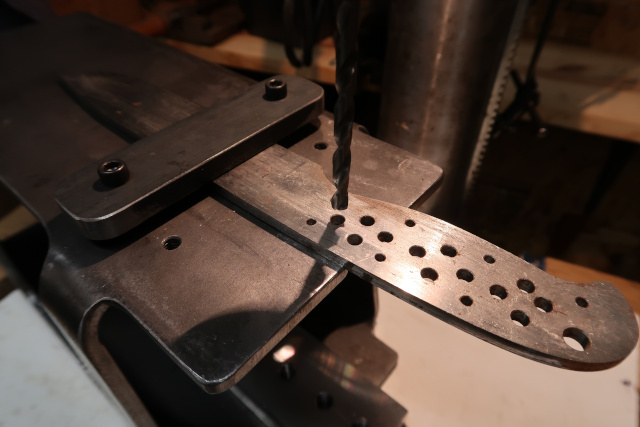 It is heavy enough to significantly decrease the potential for the drill bit grabbing the blade and helicoptering it when drilling, a very dangerous possibility. 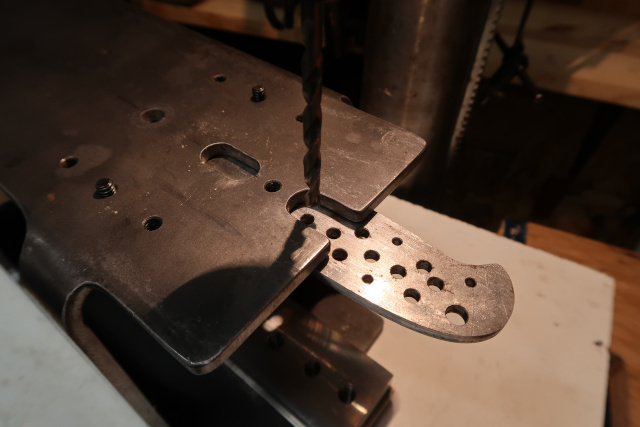 But it can be easily slid around on the drill press table to move to new drilling locations, without having to necessarily re-clamp the blade. 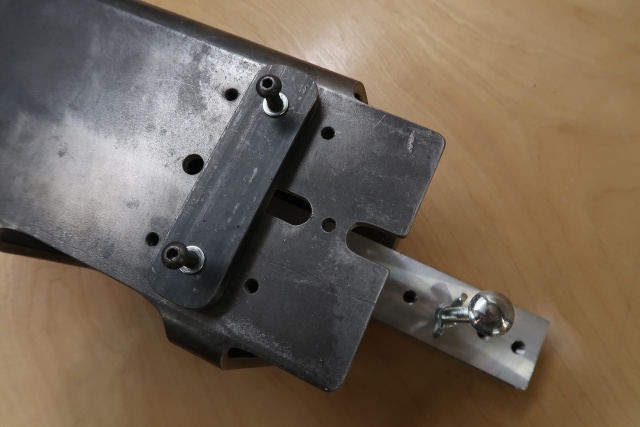 This tool’s shape also allows it to be easily clamped down to the table if need be. 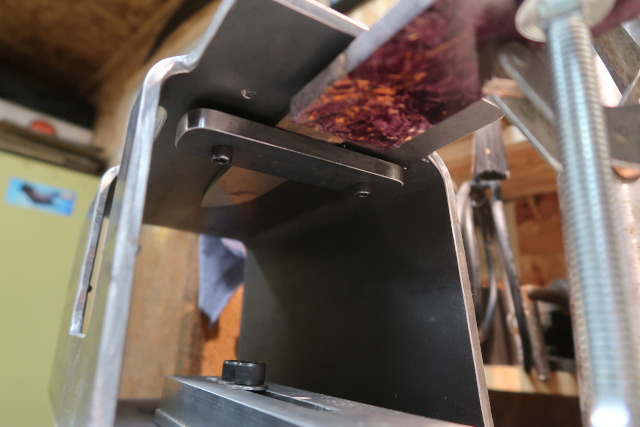 Blades can be clamped on the surface, or underneath, using the same taped holes. 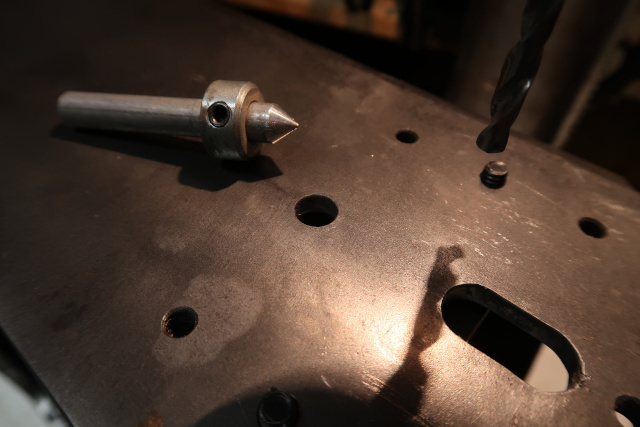 I use this for drilling pin and other holes in tangs, drilling pin holes through the tang into handle slabs, etc. 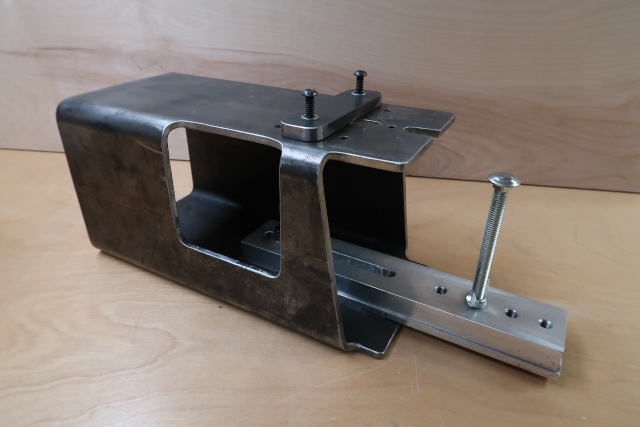 I have attached a support device that can be pulled out and has an adjustable rounded-head bolt to rest under handle slabs when drilling down so the slabs and tang don’t bend with the pressure of the drill bit coming down. 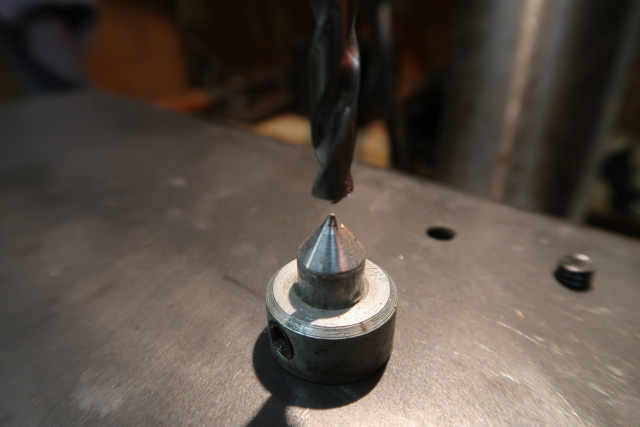 I also have a center point pin I place in one hole in this tool, so I can index handle blocks when drilling them out for stick or blind tang knives.